It’s the start of January, which means it’s time for Jeff Gundlach’s much anticipated “Just Markets” webcast, previewing what he and his DoubleLine fund expect from the capital markets. 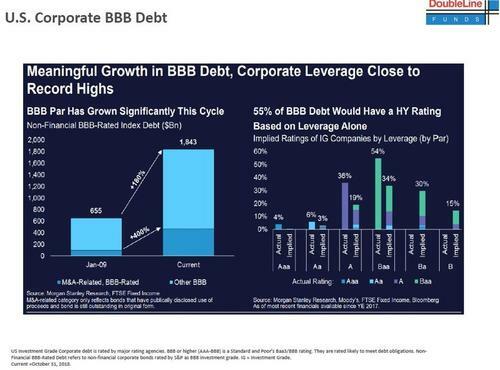 And if last year’s January webcast is any indication, this one is not to be missed considering just how many predictions Gundlach made one year ago that eventually came true. 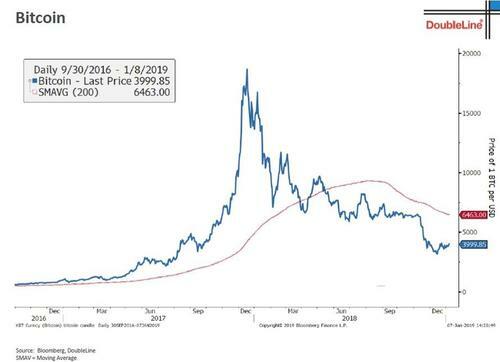 Courtesy of Bloomberg, here is a summary of what he predicted would happen last January, and the outcome as of Dec 31. Call: Expect a run-up early in 2018, but an eventual reversal that would leave the market down for the year. Outcome: The S&P 500 Index peaked on Sept. 20 and finished with a loss of 4.4 percent, including dividends. 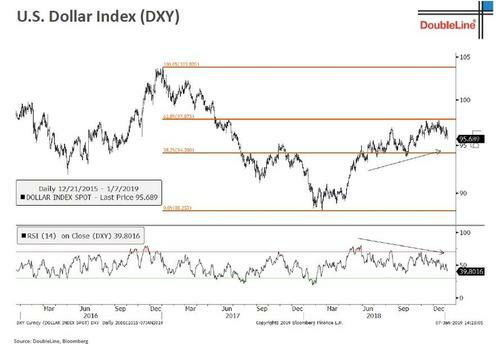 Call: Not a great time for traders to be buying, but long-term investors may benefit from attractive valuations relative to the U.S. 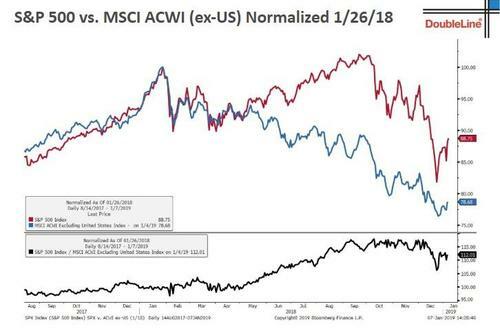 Outcome: The MSCI EM Index did worse than the S&P 500, dropping 14 percent on a total-return basis; price-earnings ratios still favor emerging markets. Outcome: The Euro Stoxx 50 Index lost 16 percent after dividends in dollar terms. 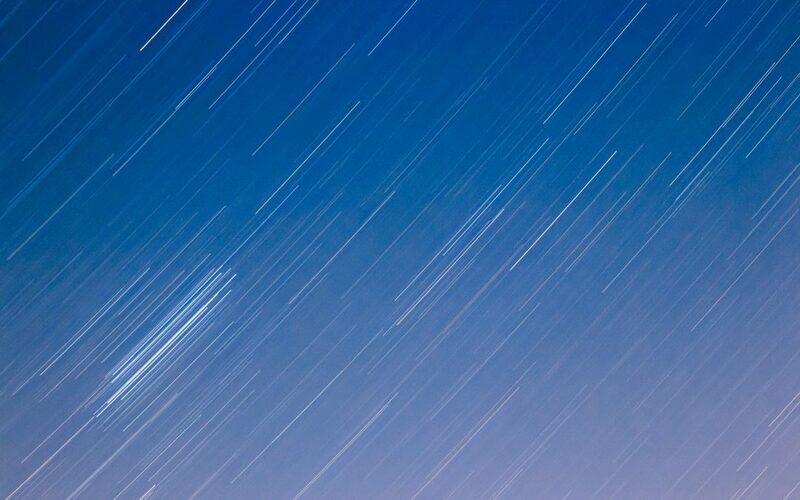 Call: Two-year notes could exceed 2.5 percent, but they’re “actually a pretty no-brainer investment” because they offer positive returns if held to maturity, when other assets may be reasonably priced. Outcome: Yields stayed above 2.5 percent from June 11 to Dec. 28 and short-term bond funds generated positive returns. Outcome: Rates closed above 3 percent on Sept. 18 and climbed to 3.24 percent Nov. 8, but then crept back down as investors seeking a haven pushed up bond prices. Outcome: The Bloomberg Barclays US Corporate Bond Index lost 2.5 percent. Call: A short-term rally, but the big move will be to the downside. Outcome: The dollar spot index hit a year-low on Feb. 15 before climbing to a 12-month high on Nov. 12. It’s still above the Jan. 9, 2018, level. 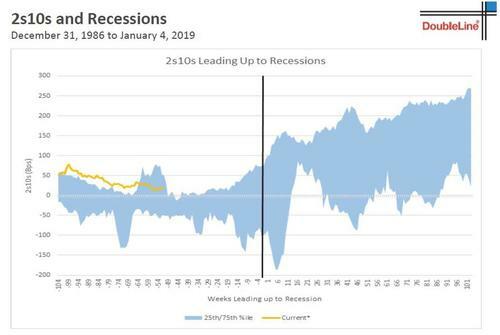 Call: No signs of a recession among leading indicators. 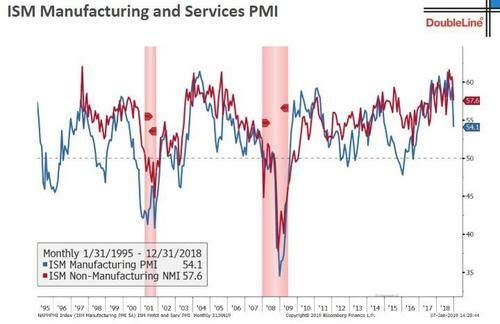 Outcome: While some warning signals are flashing now, the economy is still growing. 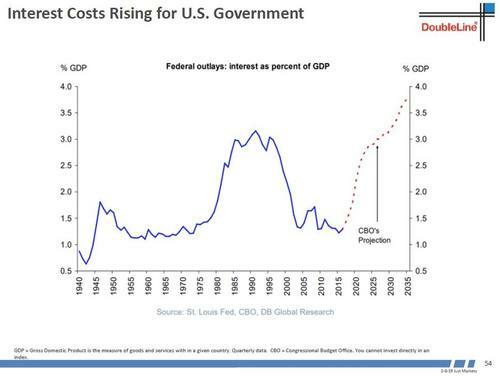 Considering that unlike most of his Wall Street penguins conformist peers, who dread to voice any contrarian call and always follow the safety of the herd (Wall Street has never forecast a decline in the S&P on a year over year basis for example) the majority of Gundlach’s predictions came out true, in many cases surprisingly so, it is probably a good idea to listen to what he will have to say at 4:15pm ET today. 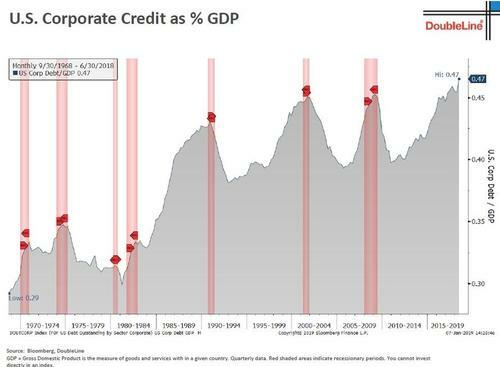 Readers can log into his webcast here; we will highlight any of his key slides below. 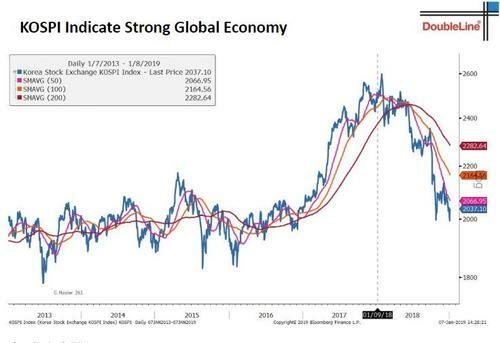 In the first chart, Gundlach recalls why he was optimistic the global economy at the start of 2018, and has grown more pessimistic one year later, courtesy of the key proxy, the Kospi stock index, a bellwether for global trade and commerce, for the export-heavy South Korean economy. 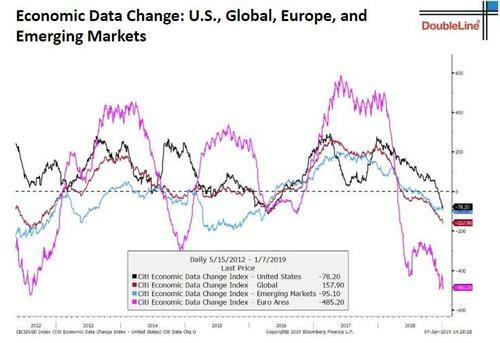 Sure enough, Citi’s economic data change index has hit troughs not seen in many years for most regions, and especially Europe. 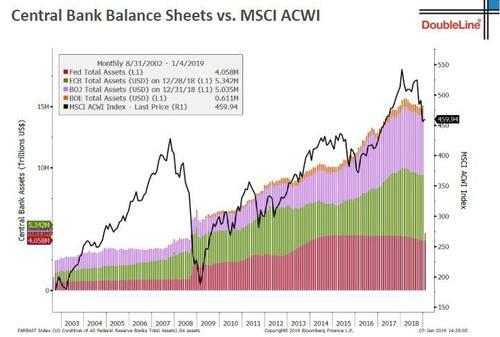 The bond king then reposts the popular chart from DB showing that nobody made any money in 2018 and claims that key culprit for this predicament is that the consolidated central bank balance sheet has been shrinking, resulting in MSCI World weakness. 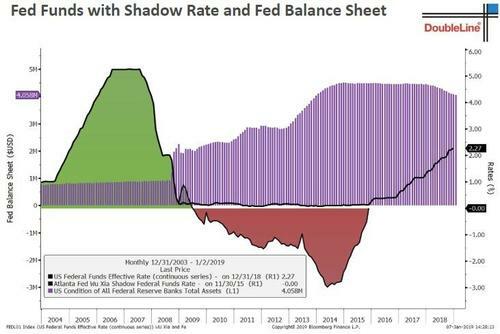 Looking at the Wu Xia Shadow Fed Funds model, Gundlach then calculates that $1 trillion in QE is roughly equivalent to 100 bps, a key topic for markets now especially when it remains unclear if the Fed is – or isn’t – on autopilot when it comes to the Fed’s balance sheet. 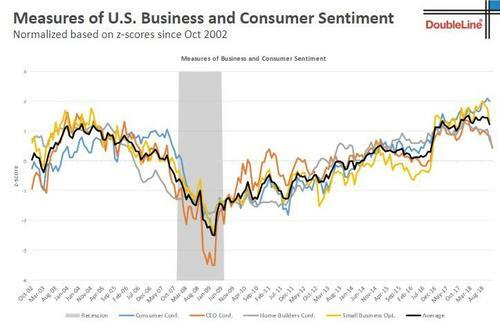 A better economic report card can be found in various measures of business and consumer sentiment, which are still relatively solid and a ways away from hinting at a recession, even if they are starting to “flash yellow” for recession. 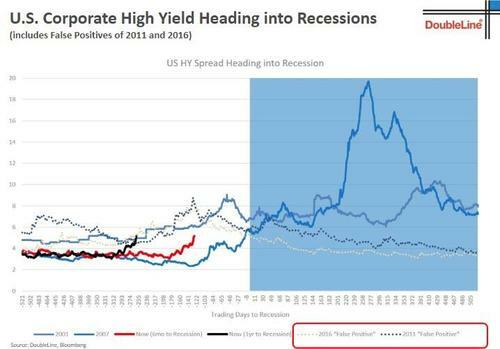 Additionally, while recession concerns have been all the buzz on Wall Street in recent weeks, another chart showing that there is little imminent contraction on the horizon is the following chart showing how junk bond spreads have acted 6 months ahead of recessions (those in 2001 and 2007), although as Gundlach does note, the risk of a recession by the red line does suggest that the recession risk is rising, even if it is still relatively early. 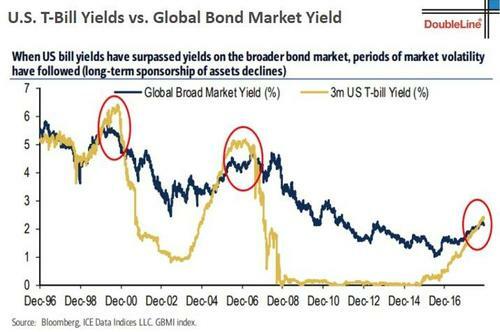 Still, something to be concerned about is that US T-Bill yields have now surpassed bond market yields; and as the following BofA chart reference by Gundlach shows, every time this inversion has happened a period of market volatility has followed. 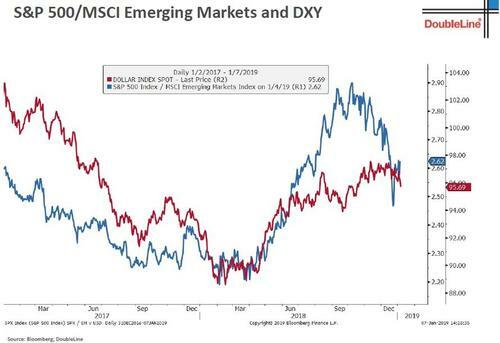 Looking at markets, Gundlach highlights the recent outperformance of Emerging Markets, which is likely due to the ongoing weakness in the dollar. 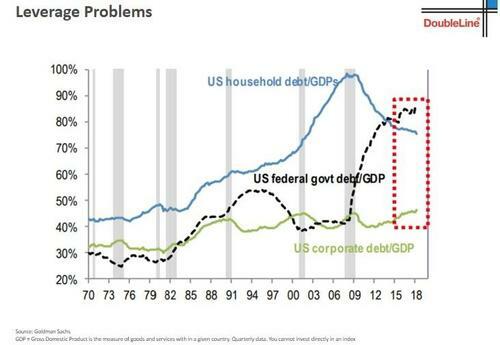 Predictably, Gundlach says that if the dollar continue sto weaken, EM will outperform the S&P. 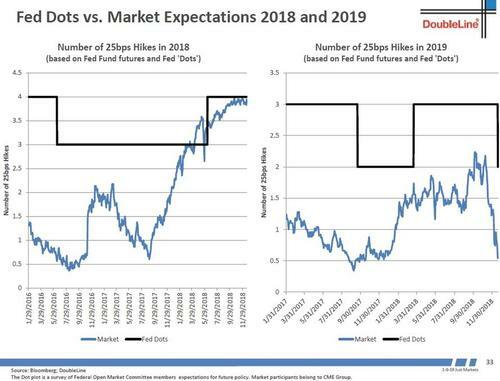 Next, Gundlach looks at the difference in rate hike expectations between the Fed via the “dots” and the market, and highlights the dramatic drop in market-implied rate hike odds following the Fed’s recent dovish relents. 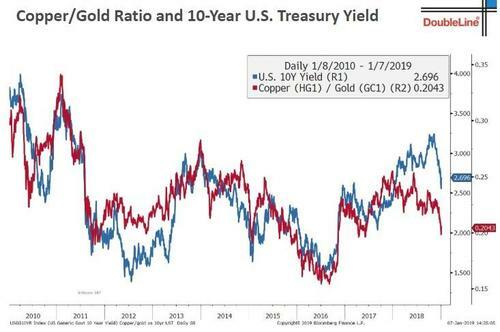 And yet, looking ahead at what he expects to happen to the bond market, Gundlach says that contrary to conventional wisdom, he expects the bond curve to steepen. 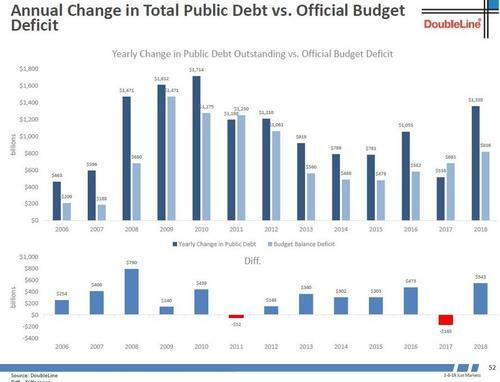 … and asks “are we growing at all or is it just the increase in debt”, then showing that the change in public debt debt is nearly 50% higher than the change in the official budget deficit.